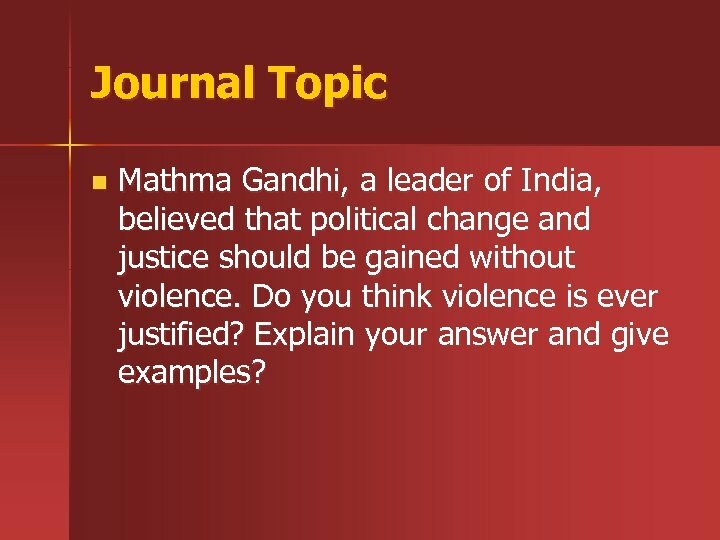 Journal Topic n Mathma Gandhi, a leader of India, believed that political change and justice should be gained without violence. Do you think violence is ever justified? 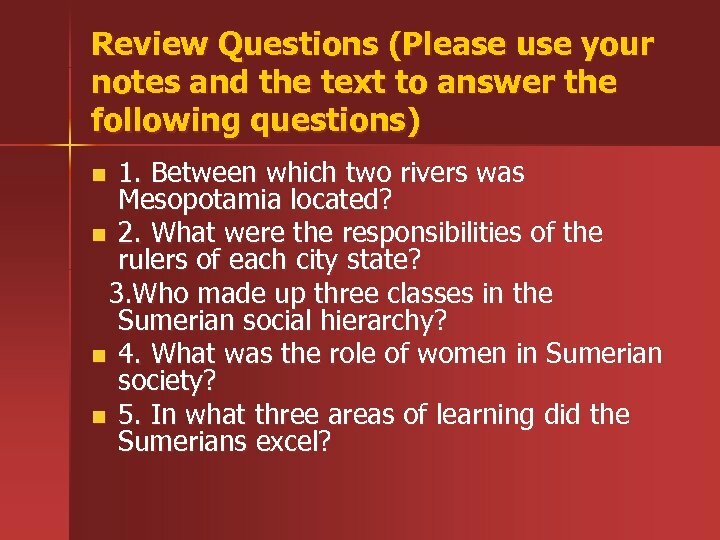 Explain your answer and give examples? 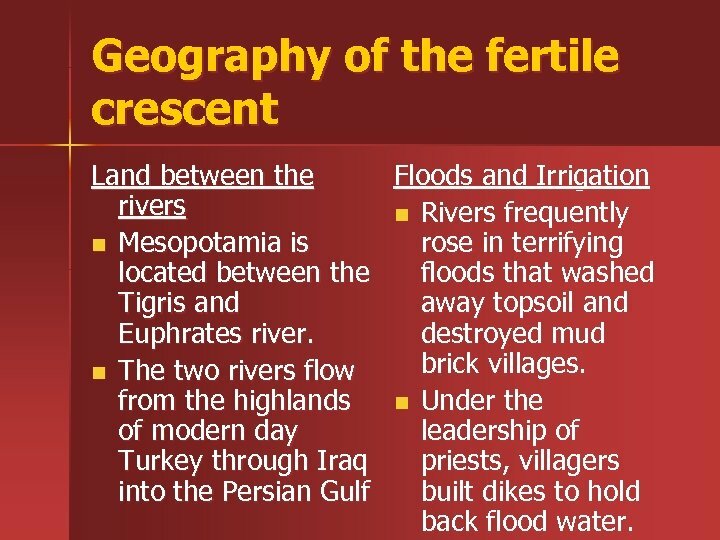 Geography of the fertile crescent Land between the Floods and Irrigation rivers n Rivers frequently n Mesopotamia is rose in terrifying located between the floods that washed Tigris and away topsoil and Euphrates river. destroyed mud brick villages. 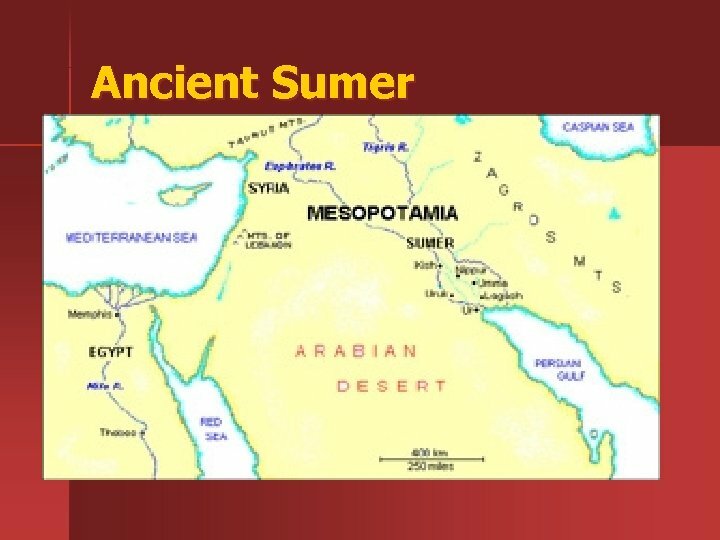 n The two rivers flow from the highlands n Under the of modern day leadership of Turkey through Iraq priests, villagers into the Persian Gulf built dikes to hold back flood water. 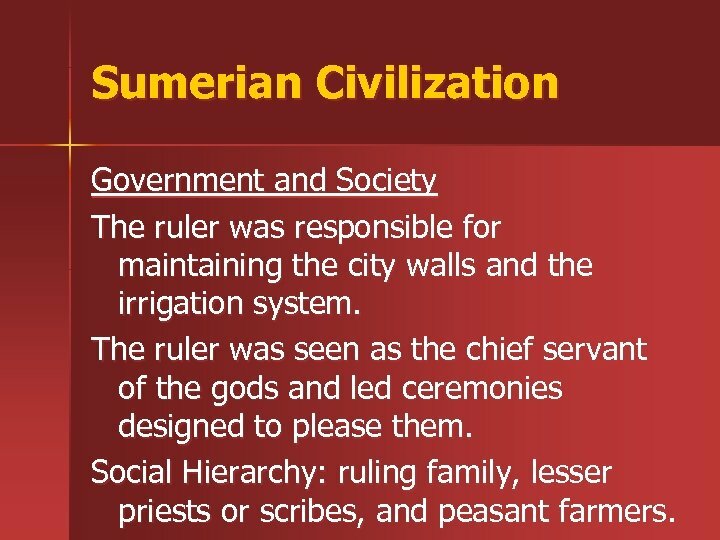 Sumerian Civilization Government and Society The ruler was responsible for maintaining the city walls and the irrigation system. 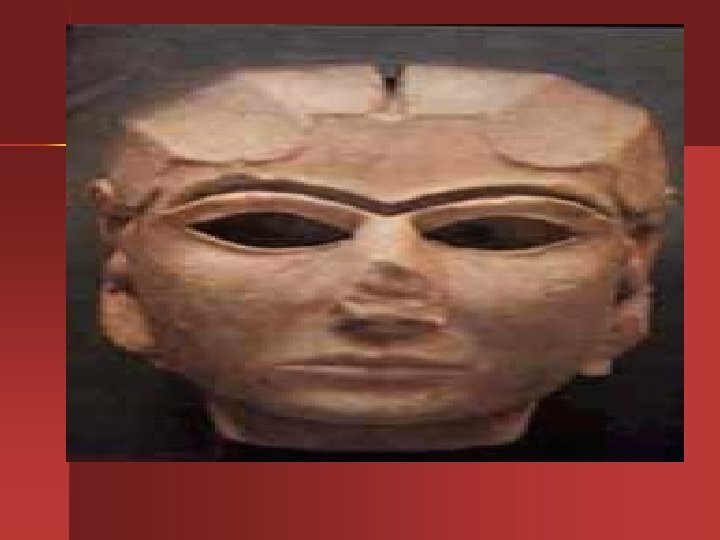 The ruler was seen as the chief servant of the gods and led ceremonies designed to please them. 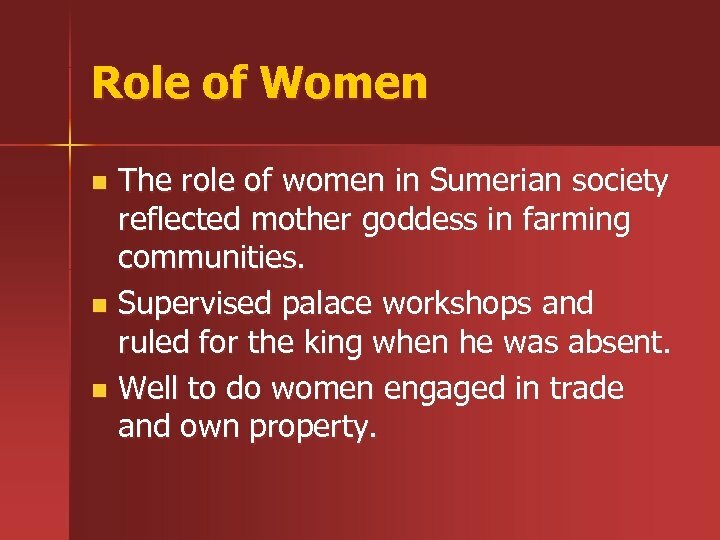 Social Hierarchy: ruling family, lesser priests or scribes, and peasant farmers. 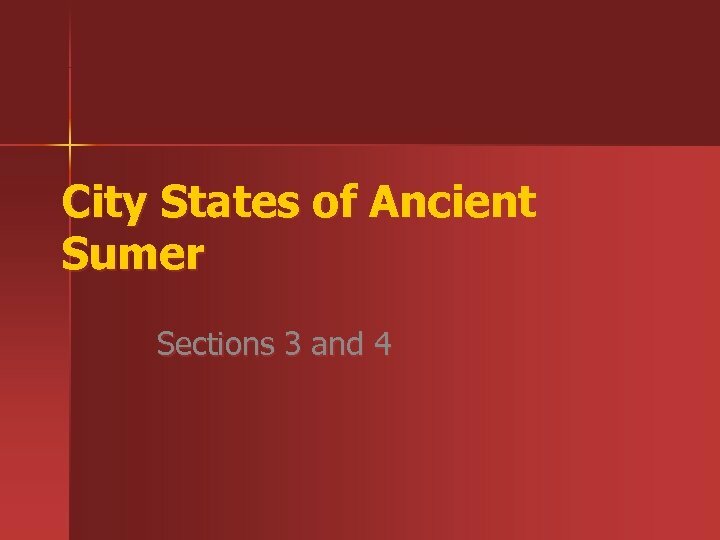 Sumerian Religion n Ancient Sumerians were polytheistic. 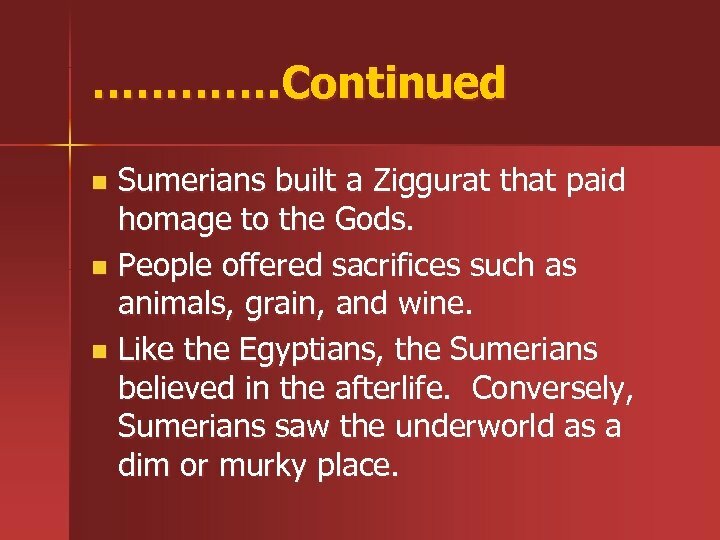 Sumerians viewed Gods almost like mortals in that they were able to eat, drink, and become married. 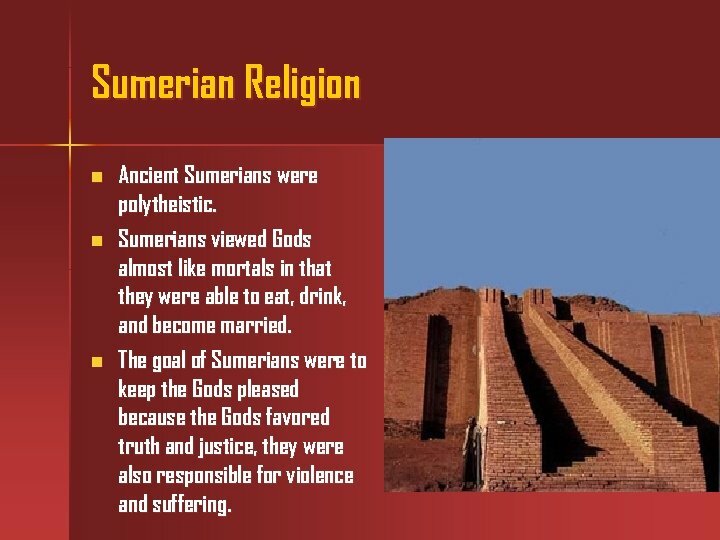 The goal of Sumerians were to keep the Gods pleased because the Gods favored truth and justice, they were also responsible for violence and suffering. 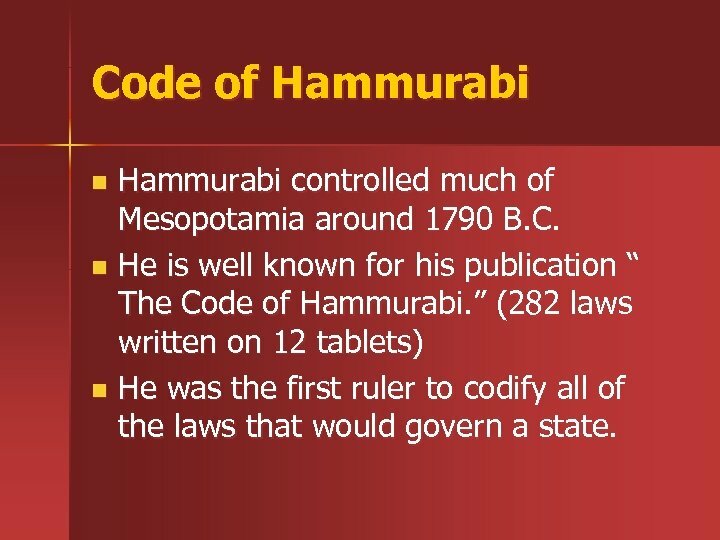 Advances in Learning n n Sumerians used a form of communication known as cuneiform. It was used to record myth, prayers, laws, treaties and business contracts. 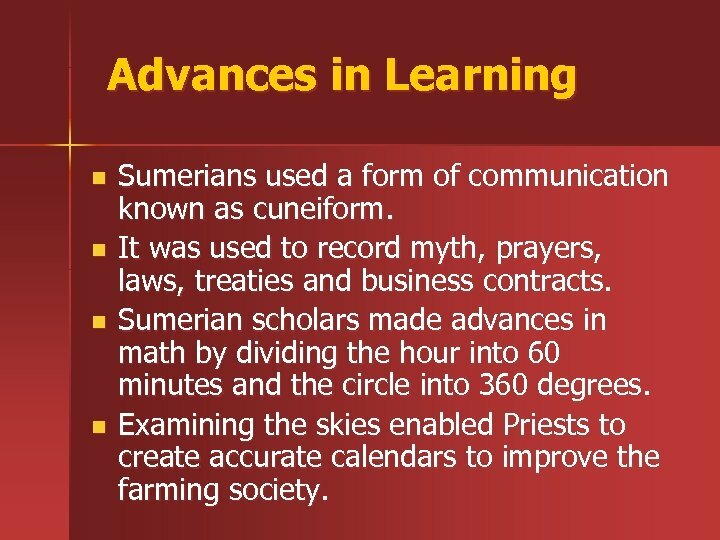 Sumerian scholars made advances in math by dividing the hour into 60 minutes and the circle into 360 degrees. Examining the skies enabled Priests to create accurate calendars to improve the farming society. 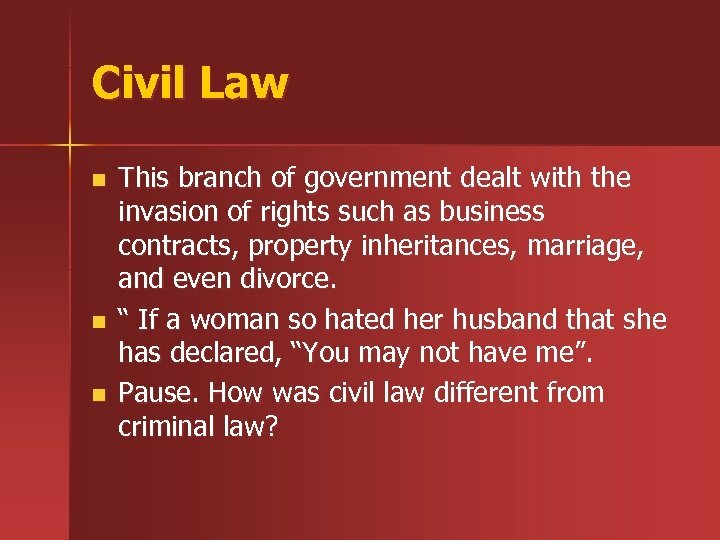 Civil Law n n n This branch of government dealt with the invasion of rights such as business contracts, property inheritances, marriage, and even divorce. “ If a woman so hated her husband that she has declared, “You may not have me”. Pause. 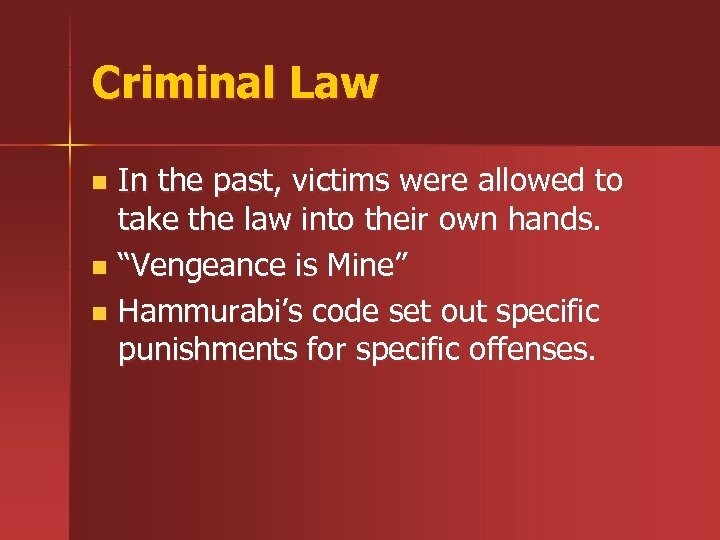 How was civil law different from criminal law? 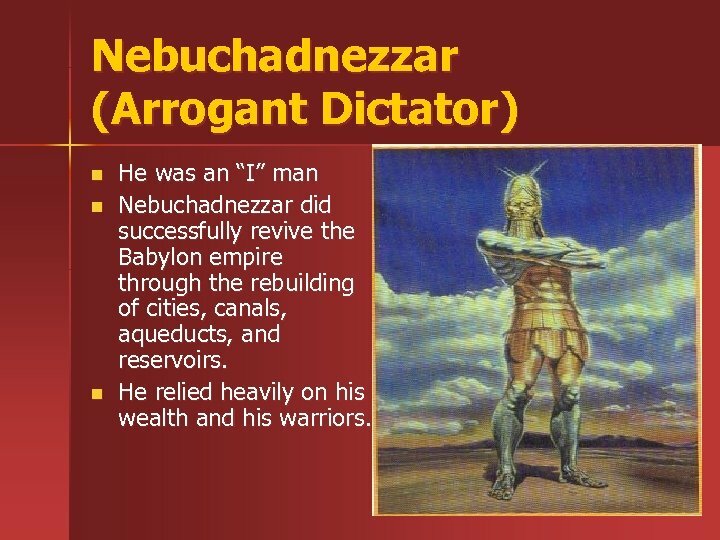 Nebuchadnezzar (Arrogant Dictator) n n n He was an “I” man Nebuchadnezzar did successfully revive the Babylon empire through the rebuilding of cities, canals, aqueducts, and reservoirs. 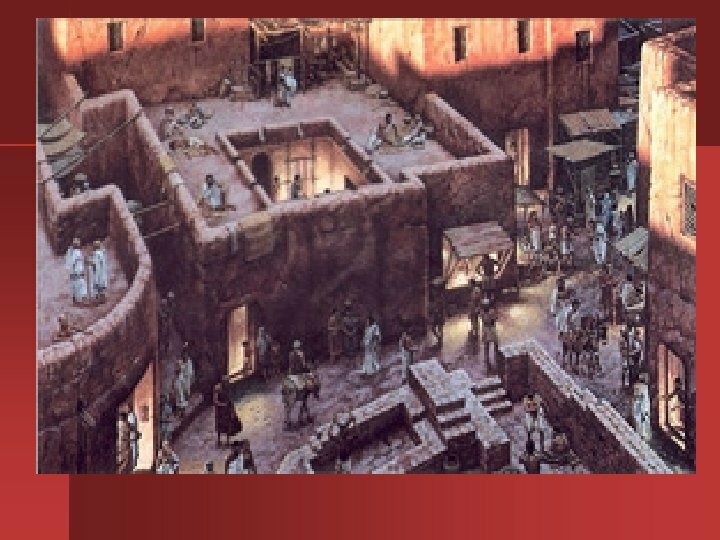 He relied heavily on his wealth and his warriors. 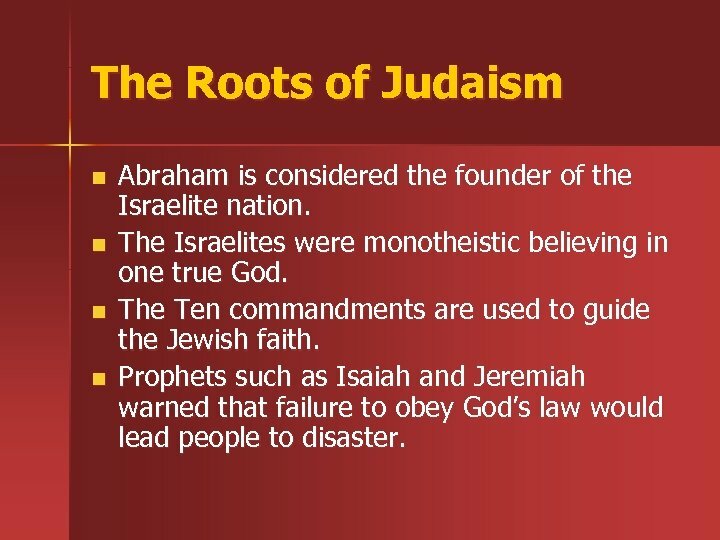 The Roots of Judaism n n Abraham is considered the founder of the Israelite nation. 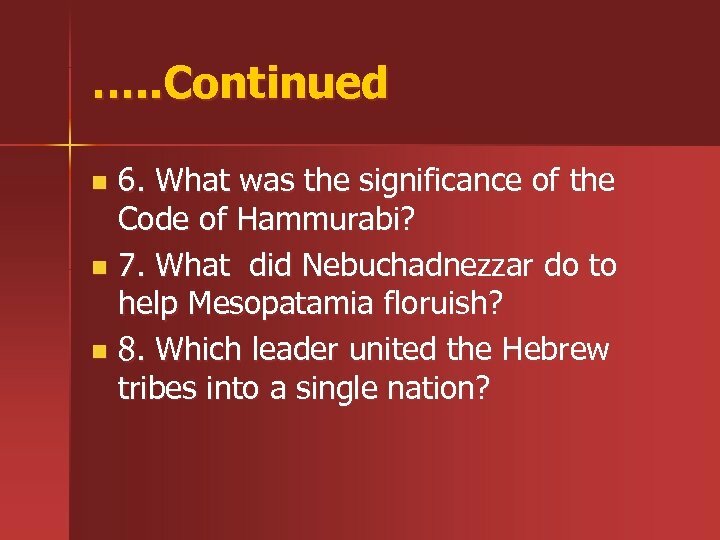 The Israelites were monotheistic believing in one true God. 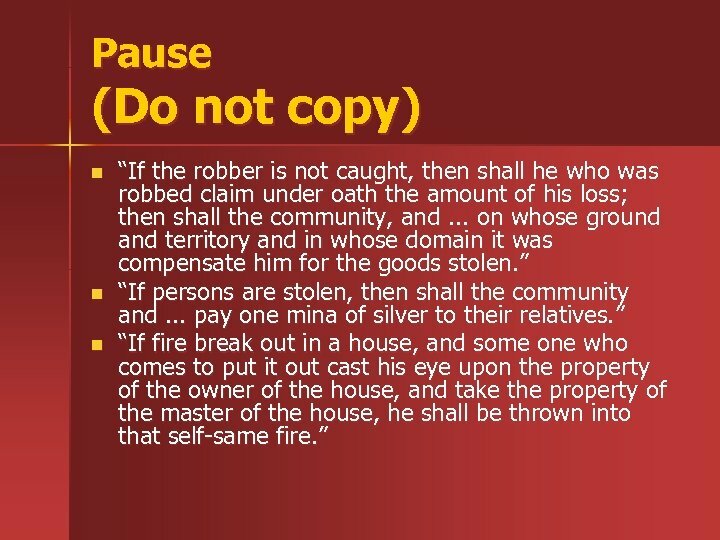 The Ten commandments are used to guide the Jewish faith. Prophets such as Isaiah and Jeremiah warned that failure to obey God’s law would lead people to disaster.